Take a vacation to Britain and enjoy a truly magical experience by visiting some of the many places strongly linked with Harry Potter. From the infamous platform 9 3/4 sign at Kings Cross to the Warner Bros Studio Tour in Leavesden, there's so much to see and do for those with Pottermania. Here are the best places to visit in Britain to get the best Harry Potter experience. London's West End is home to several theatres featuring top quality shows including Wicked and Mamma Mia! 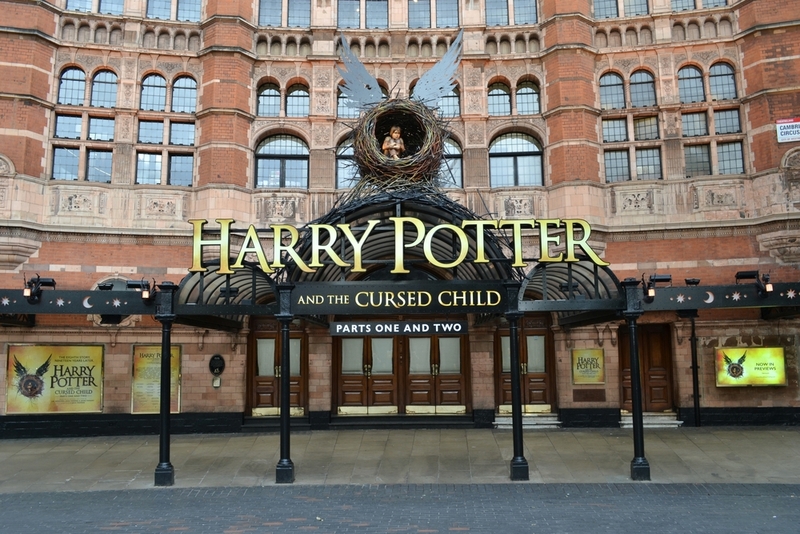 In 2016, potter fans rejoiced when the highly anticipated 'Harry Potter and the Cursed Child - Parts I & II' started its run at the Palace Theatre. The very popular show continues the story of our wizarding friends several years after the events of 'Harry Potter and the Deathly Hallows'. The play is split into two parts, with part one commonly shown as a matinee performance, while part two is on an evening. Not surprisingly it's very hard to get hold of tickets, and you will need to keep a lookout for new ticket releases. Kings Cross Station is the location of the famous Platform 9 3/4. Unfortunately this mythical platform doesn't exist, but that doesn't stop you from taking a photo in front of a replica. 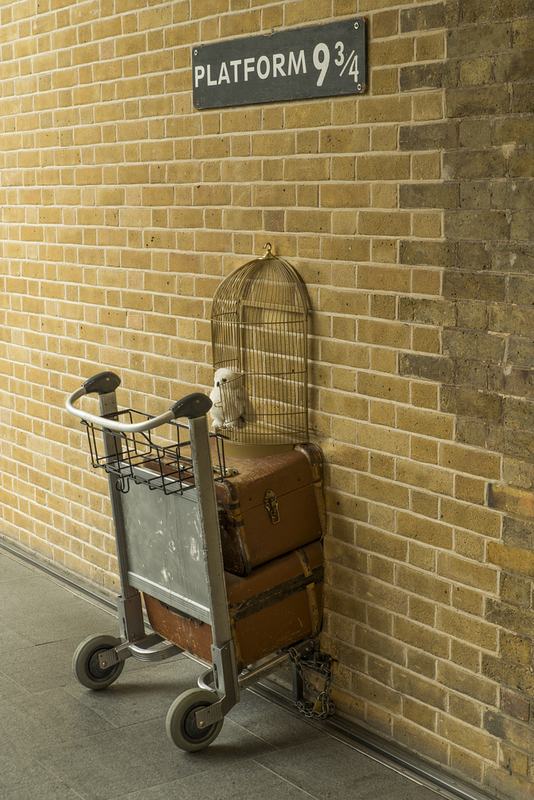 A luggage trolley which looks similar to the one pushed by Harry in the films, appears halfway through a brick wall, and above is a sign for platform 9 3/4. This makes it the perfect photo opportunity for any Harry Potter fan. What makes it even better is that a professional photographer will wrap a house scarf of your choosing around your neck and give you props like a wand! Be warned that this is a popular spot for photos, so the queue can be very long during the day time. If you don't want to be waiting around, try and go later in the evening when there's less of a crowd. 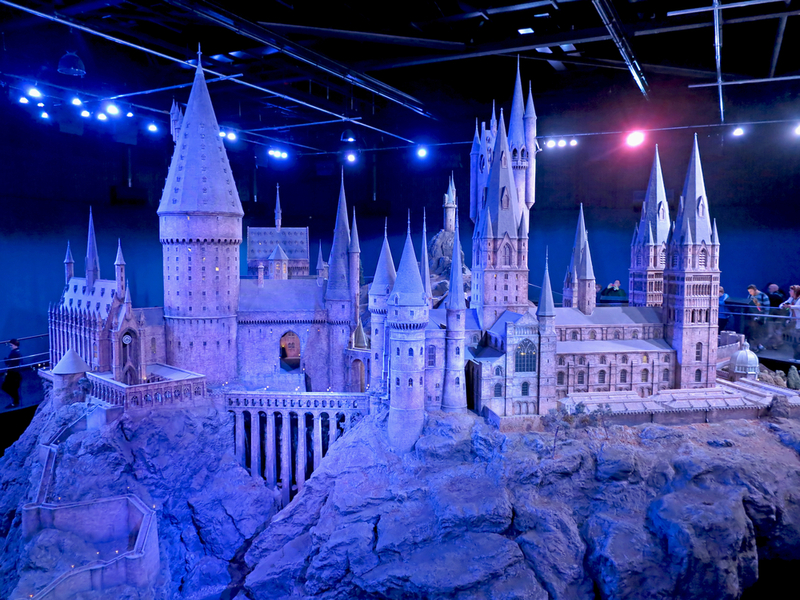 Get close to where the magic really happened, by visiting the Warner Bros Studio Tour in Leavesden. All of the Harry Potter films were shot in this studio complex, and now part of it has been turned into 'The Making of Harry Potter'. Across five warehouses you will find a massive range of real sets and props that were used in the making of these beloved films. The Great Hall and a scale model of Hogwarts are just two of the breathtaking sights that you will encounter as you journey through this amazing tour. In the backlot, Butterbeer is available to buy so you can taste the sickly-sweet beverage popular among wizards. Then at the end of the tour is an amazing gift shop filled with every piece of Harry Potter merchandise imaginable. Plan your visit in advance, as this place is regularly booked out for weeks. The very grand marble interior of Australia House on the Strand is easily recognized as the setting for Gringotts Wizarding Bank. 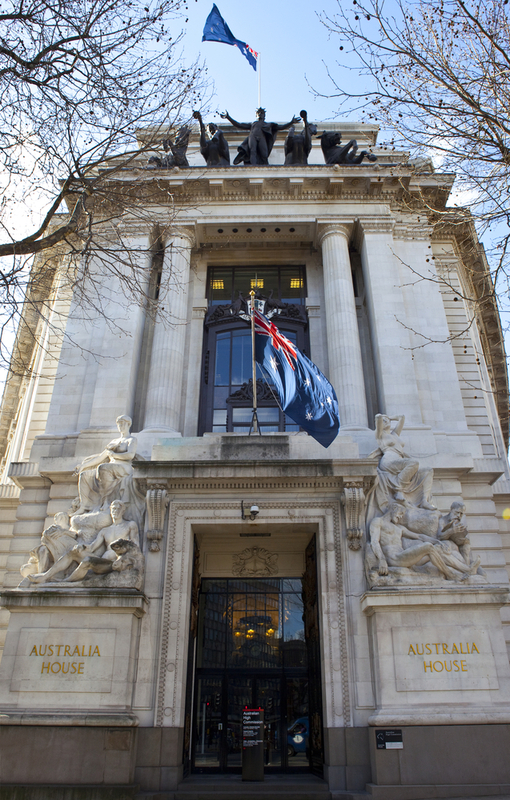 This marvellous Edwardian building which is the office of the Australian High Commission in the UK, is unfortunately not open to the public. However you may be able to catch a glimpse of the inside through the doors. 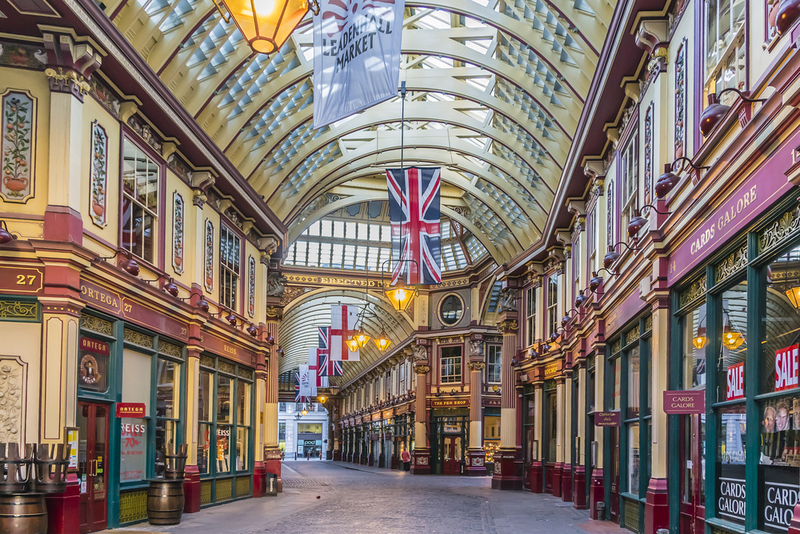 Leadenhall Market in London is the filming location for some of the scenes of Diagon Alley. The beautiful Victorian covered market is very picturesque and definitely worth a visit regardless of whether your a Harry Potter fan! Once you're inside, look for the blue door in Bull's Head Passage. You might recognize it as the entrance to the wizard’s pub, the Leaky Cauldron. In the films it was painted a dark black which made it look more grim, however it is now home to a business, so it was repainted blue. The Reptile House in London Zoo is where Harry first discovers he is a 'Parselmouth', meaning he can talk to snakes. 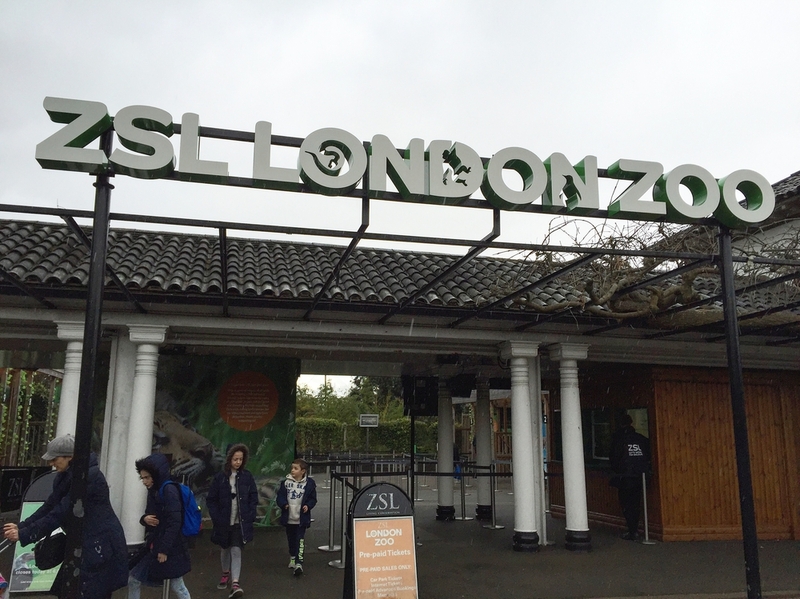 The zoo was founded in 1828 and is home to all sorts of mammals, birds, reptiles, invertebrates, amphibians and fish. There are more than 650 species in total, so why not have a go at striking up a conversation with one of them. It's not guaranteed they'll answer back like in 'Harry Potter and the Sorcerer's Stone', but it's worth a try. The magnificently beautiful Christ Church college in Oxford was founded in 1524. Over the years it has welcomed the likes of Albert Einstein, Lewis Caroll, 13 British Prime Ministers and the film crew for Harry Potter. The grand fan-vaulted staircase in the college features in some of the early Harry Potter films. Look out for it in the scene where Professor McGonagall welcomes Harry, Ron, Hermione and the rest of the first years in 'The Sorcerer's Stone'. 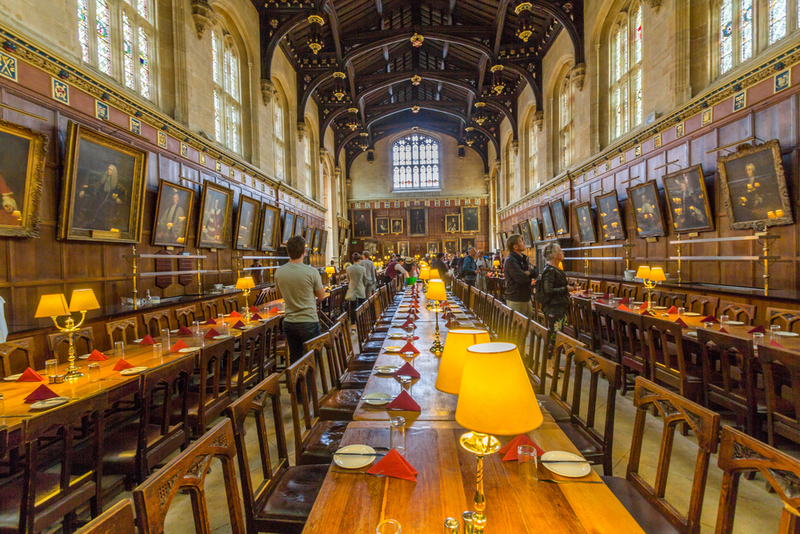 During your tour of Christ Church, step into the famous Great Hall which inspired the design of the Hogwarts Dining Hall. The interior was replicated in film studios based on photographs taken of the elaborately decorated hall. 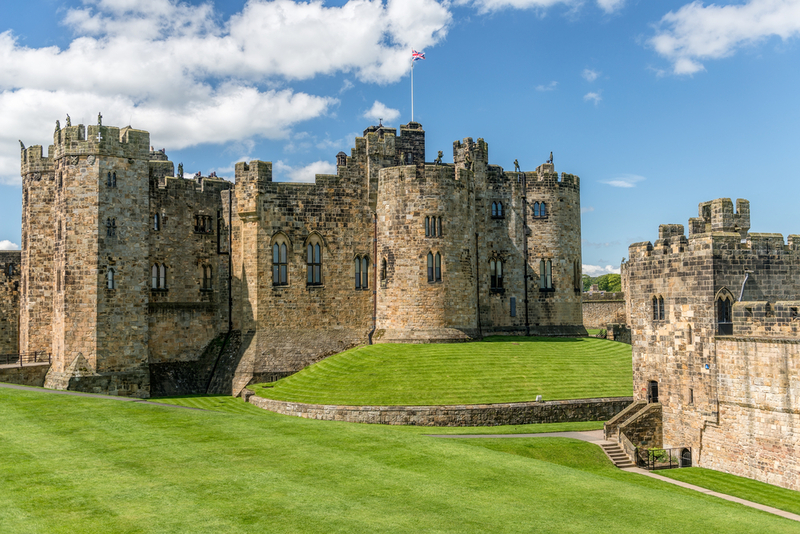 Visit the real Hogwarts by travelling to the English county of Northumberland. Alnwick Castle resides in the town of the same name, and was filmed as the location of Hogwarts for the first two Harry Potter films. Memorable scenes outside the castle include Harry Potter's first Quidditch lesson and the crash landing of the Ford Anglia driven by Ron. Fun Harry Potter themed events are held at the castle including broomstick training, behind-the-scenes tours and meet and greet sessions with costumed character lookalikes. The Hogwarts Express was often seen travelling on the famous Glenfinnan viaduct when taking the wizards and witches to school. This very photogenic viaduct is located on the iconic West Highland line between Fort William and Mallaig in Scotland. It is featured in one of the most memorable scenes in 'Harry Potter and the Chamber of Secrets', when Ron and Harry are flying over the viaduct in the blue Ford Anglia. 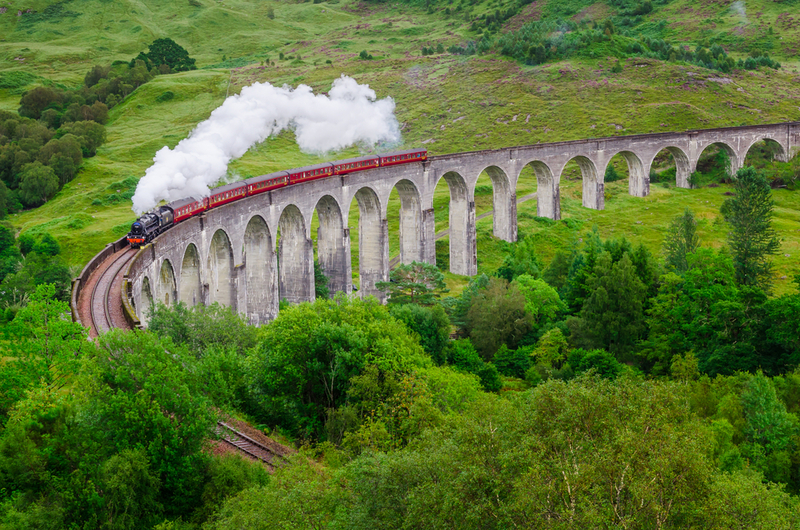 If you want to experience travelling across the viaduct, there's a fantastic Hogwarts Express-style steam locomotive called the Jacobite Steam Train, which runs in the summer.